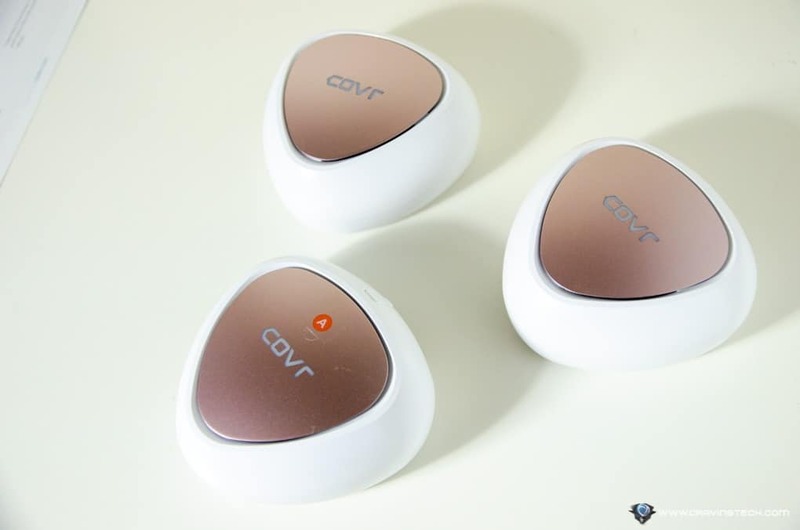 D-Link COVR COVR-C1203 Review – Technically, D-Link COVR covers (puns intended) a variety of products, but the one we are looking at here is the C1203 model. But for the sake of simplicity, I’m just going to refer it as D-Link COVR on this article. We all have weak wireless spots around our house where the signals are not the strongest, flaky, and at times, abysmal. If you have a big house or a double storey house, I’m sure you can name those specific places or parts of the house that are pretty much classified as the Dead Zones. 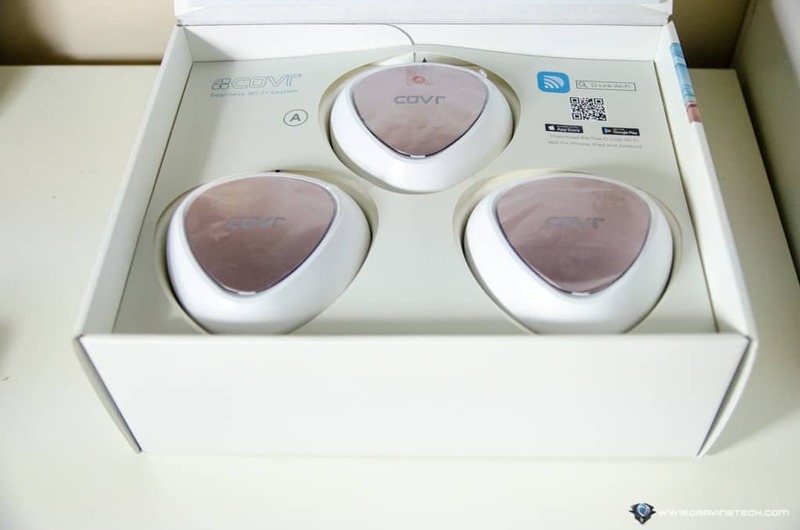 If you get frustrated over devices losing connections intermittently, well, D-Link has got you COVRed (and I’ll stop with the puns now). D-Link COVR comes with 3 COVR-C1203 units + 3 associated power adapters, and a network cable. One of the units has an “A” label on it – I call it the “Alpha” COVR, but more on that later. Two different colour plates are included too in case you want to change the plate’s colour to match the room theme it’s in. You can release the plate by pushing the release button and swap it over. You only have 1 Blue and 1 Gold, however, so you can’t change all 3 plate colours to Blue. Most likely in this era, you already have a wireless router connected to your modem or even a wireless router/modem combo. This may create a bit of confusion during the COVR setup process if you follow the step by step guide using the app. If you have a modem/router combo (such as having the D-Link COBRA), then you need to set your modem/router as a Bridge mode first to let COVR be your primary router. This requires some tinkering and not mentioned on the guide. And if you are on the NBN, you do not need a modem and the guide does not mention this as well, or let you know how to set it up properly. However, if you know your ways around setting up modem and router, you’ll be fine as you can connect via its Wi-Fi SSID and open up the COVR router settings page. D-Link COVR Seamless Wi-Fi System is a wireless mesh network system, consists of a wireless router and two wireless extenders in a nutshell. Each has the same design like a hockey puck – the one with the “A” label is the router and all others (i.e the extenders) come paired to the Alpha unit. Each has 2x Gigabit Ethernet ports, strong 3 internal receiving antennas, 2 wireless channels (2.4GHz and 5GHz), and WPS, powered by USB-C. 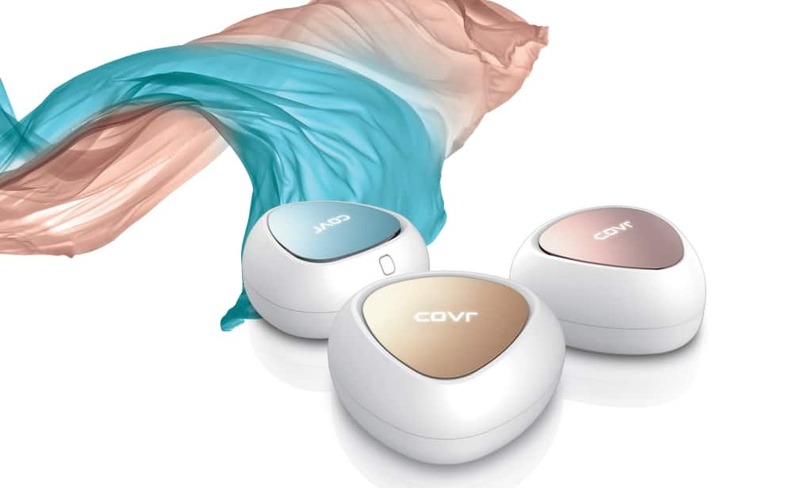 The COVR-C1203 AC1200 has MU-MIMO wireless speed which is able to send data simultaneously to multiple devices and has an up to 465 sqm coverage area, which is quite an amazing distance coverage. It is designed to cover a large home or office, with multiple storeys. 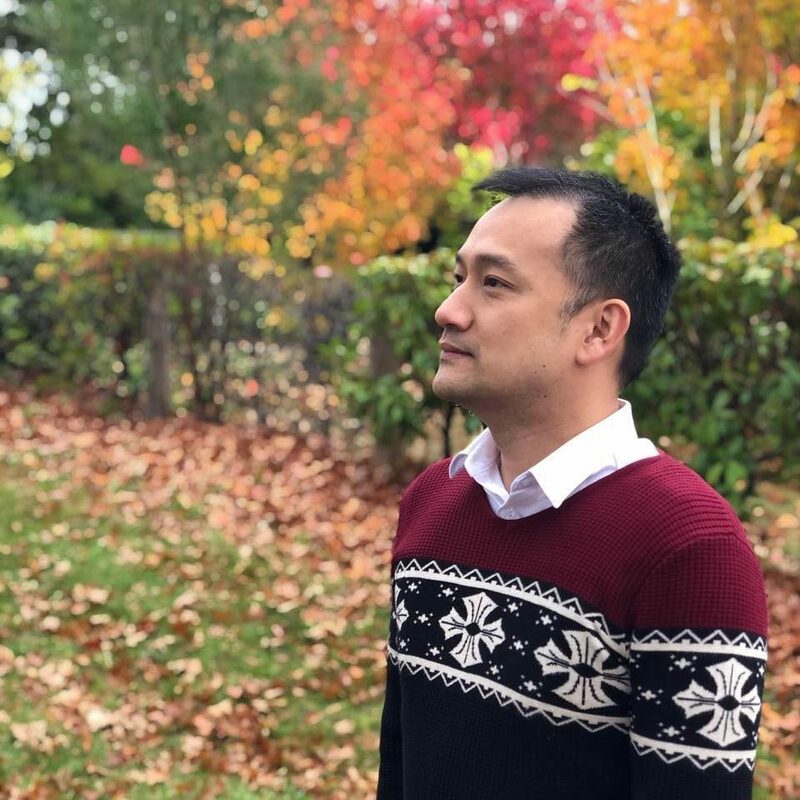 We all know how hard signals can go through concrete and bricks from one storey to the other, so by placing a COVR unit at the right place, signals can be extended and strengthened further. 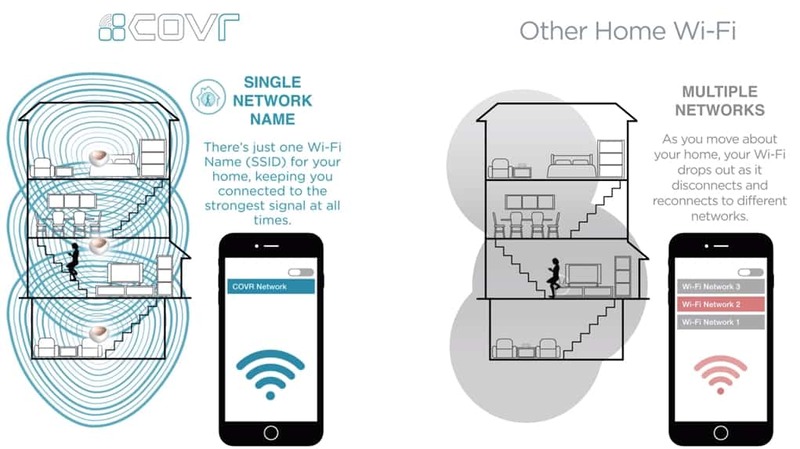 D-Link COVR has a Smart Roaming feature which allows you to auto-connect to the strongest signal possible from different unit as you move around the house. This happens in the background seamlessly, so you do not need to manually name & switch to another network as you normally would with wireless extenders. 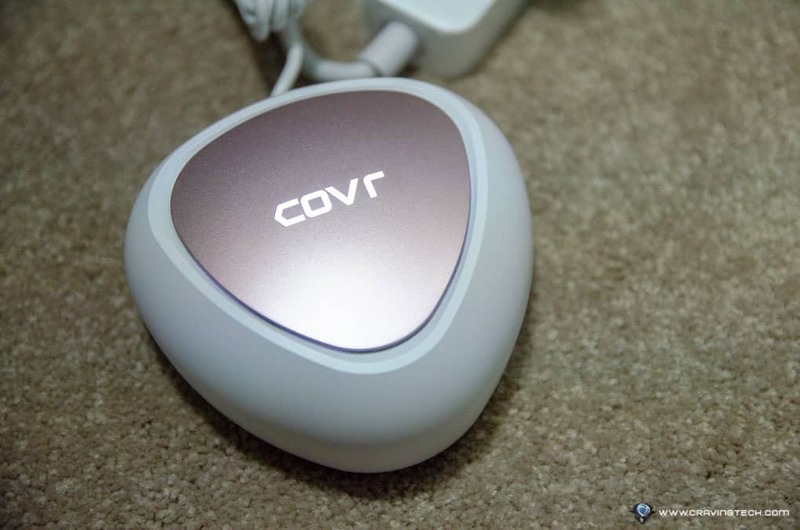 Each COVR Point also has 2 Ethernet ports so you can plug some devices like your gaming consoles or Smart TVs wired for the maximum stability. It’s also a good idea not to saturate the wireless channels with too much devices. 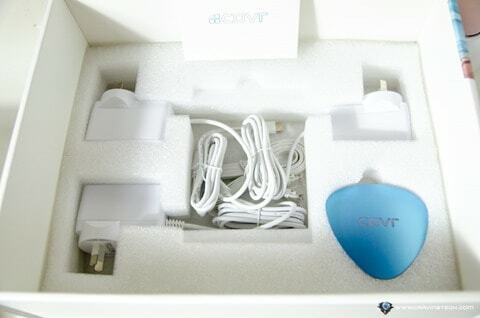 The COVR-C1203’s Alpha (the one with the “A” label) is actually a full blown wireless router. It has all the features you need from a wireless router such as port forwarding, parental control & scheduling (i.e you can make sure kids are not connected when they are supposed to be sleeping), remote management, firewall, port forwarding, QoS, website filtering, and more. D-Link COVR signal strength is great and you are also given 2 more COVR Points/units to cover the areas with weaker signals (such as your basement, bedrooms on the second floor, or the backyard). With the help of the LED signal strength indicator on the top cover, you can find the perfect positioning for the other COVR Points. If you get a solid white, you are set. In my opinion, D-Link COVR offers automated, seamless solution for those who just want to let technology help you without manual intervention. 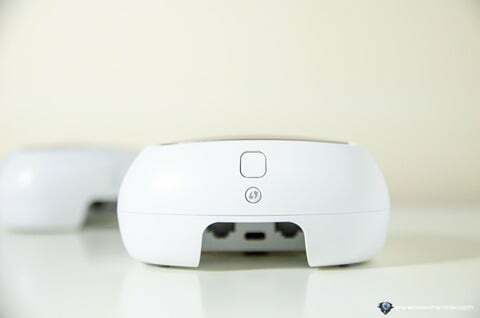 For example, you no longer need to manually switch to a different network from your wireless extender, or you don’t need to decide whether you want to connect to the 2.4GHz or 5GHz channel. Through COVR’s Smart Steering feature, it automatically connects your device to the best channel possible at that particular time. 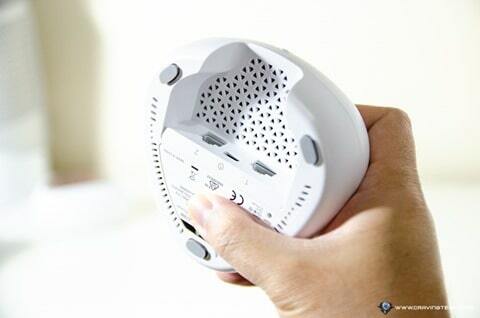 D-Link COVR-C1203 is seamless, smart, and reliable. It breathes life to the dead corners of your home or office, spots where connectivity seems to be in the oblivion and it does this seamlessly. Rather than having an extender that forces you to manually select its own SSID/network name, you can just move around the house with your device and stay connected, thanks to its Smart Roaming technology. 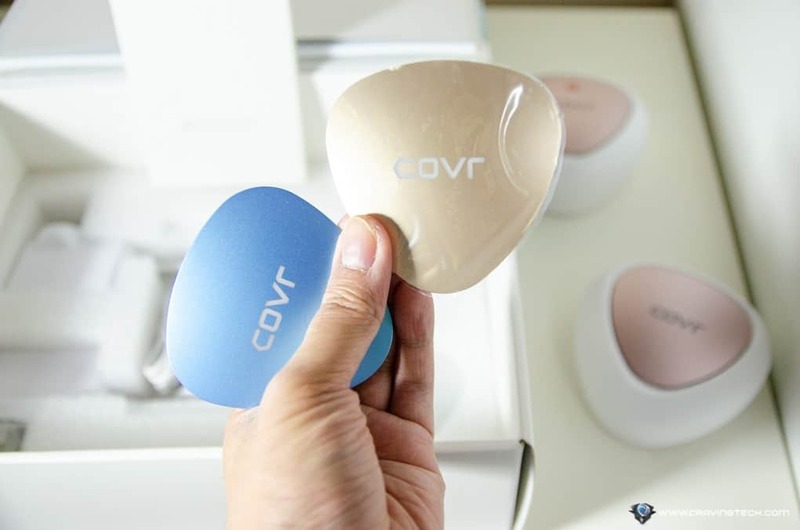 And, should you somehow need more areas to cover, you can add up to 3 more additional COVR Points to expand your mesh network. I can’t see a way yet to purchase just a single COVR Point from D-Link’s website or other stores though, but will keep you updated. Should you buy D-Link COVR? If you have quite a large house with many dead corners or opposite areas with weak signals, definitely get the COVR to sweeten these spots. If you only have a single, static area to complain about, I’d go for a wireless extender like the D-Link DAP-1860 (to save some money) or even using a Powerline solution with D-Link AV2 2000. D-Link COVR is currently retailed at AU$ 449.95 RRP. Previous articleSwap your old speaker to a Sonos One!